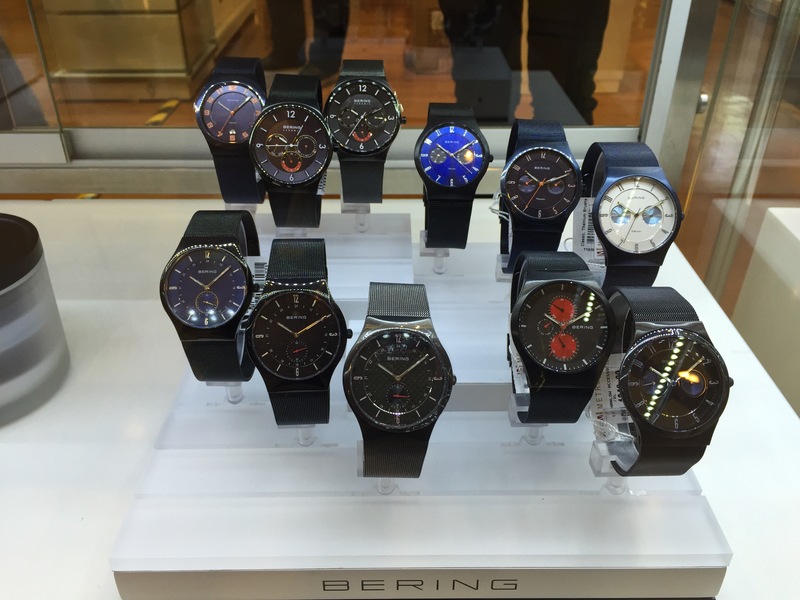 Originated in Denmark, BERING offers a collection of timeless, sleek and durable watches. When Danish adventurer and businessman René Kaerskov jumped out of a helicopter into the ice cold of the Arctic, directly over the North Pole in 2008, he had no idea that he was parachuting into a new era. The new watch designs combine blue ceramic or Milanese straps with silver stainless steel for the first time, and fit into the blue/ gold or blue/rose-gold collection. Like the eternal ice, cool Artic blue and glittering silver represent Artic beauty, and perfectly transmit the values of the Danish brand. Set, glittering SWAROVSKI ELEMENTS breathe an incomparable luminescence into the cool model, giving it a timeless glamour. Every design is sophisticated , pushing forth material and elegance. In a world of information overload, non-stop notifications, and the hindrance of a “more is better” culture, there is indeed a luxury to be found in design embracing the simplification of compositional relations between a person and the information they seek. Look at me, don’t I look in this calfskin black classic collection (model 10540-404) ? The Saphire glass design : Scratch-resistant and crystal clear watch glass. 5 ATMWatch is protected against rain. Watch must not be submerged under water. And a 3-year extended warranty + three-year international warranty. PERFECT. Check out the packaging , I swear it is not just a normal packaging. The glass packaging can go even further. Make use of this glass packaging when your watch is not in it ! What about a romantic tea light, a jar of your sweets or a decorative vase of your favorite blooms? Bering is standing up for the next generation of polar bears. With an exquisite design piece, the Scandinavian watch brand is supporting projects to protect the endangered species : the BERING charity watch will be in the shops from September 2016 in a limited edition. For each watch sold, the brand is donating 15 U.S. dollars to the organization”Polar Bears International”. or visit BERING Stores / department stores located at Gurney Plaza, Sunway Pyramid , Isetan 1 Utama, Isetan The Gardens Mall, Metrojaya Mid Valley Megamall, Parkson Pavillion KL, Parkson Suria KLCC. Last but not least, introducing you Misaki Pearl, it is right next to BERING-TIME . So in love with the Bracelet Calice (cultured pearl bracelet) on my wrist, may I bring it home?